I used to start my tomatoes in late January or early February. Then I met someone who told me they started their tomatoes the week between Christmas and New Year’s Day. Ever since, I have been starting my tomatoes the first week of January for nice, good sized plants to transplant come March. If you live in Southern California or a similar climate and you have some form of a greenhouse, January is the perfect time to start tomatoes. 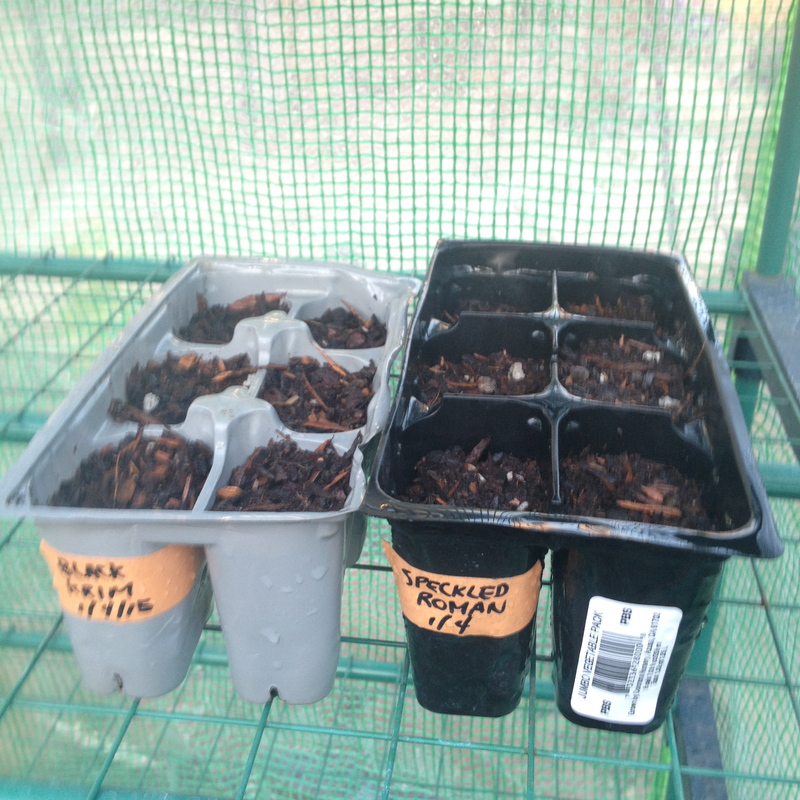 I will start peppers and eggplant in late february or early march. I’ve never thought to start mine so early. What a great idea. 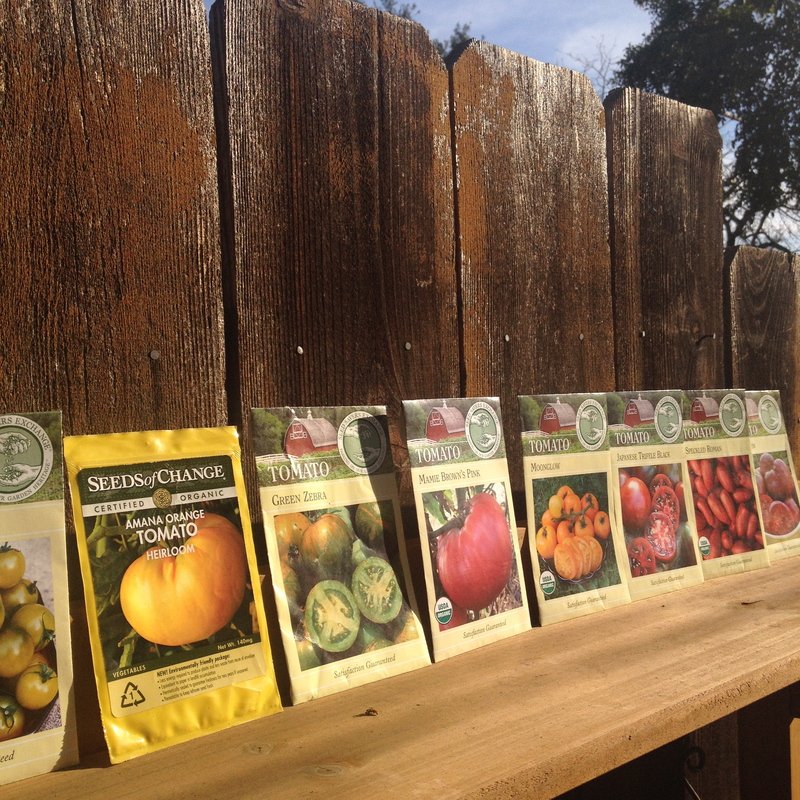 That’s a lovely photo of the seed packets line up along your fence. Artfully done. 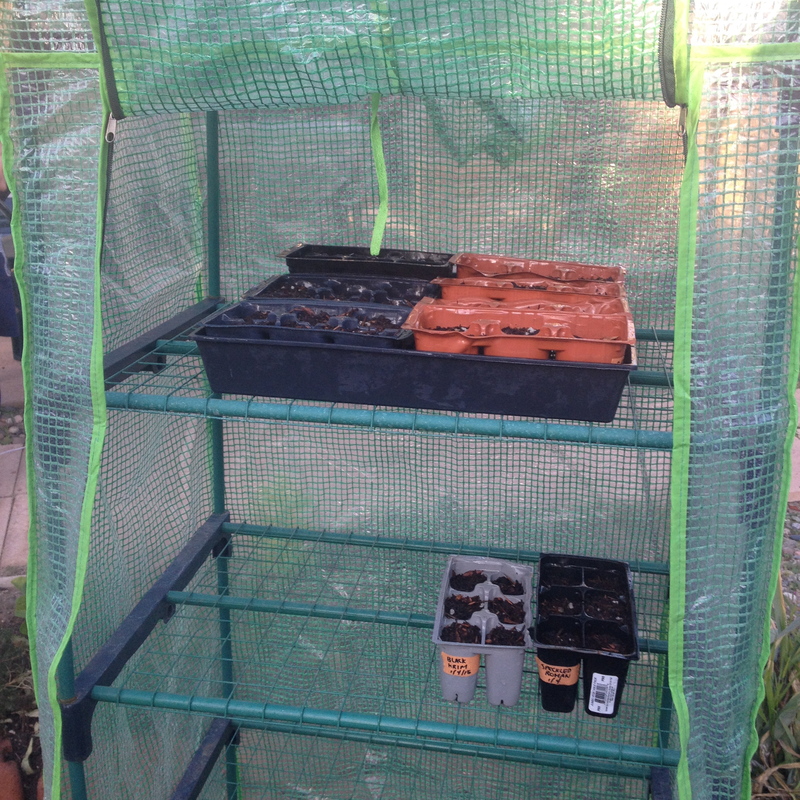 I have the same greenhouse as you do, though my cover is clear and not reinforced. You’ve got me thinking now. Thank you. I like the little greenhouse, although the metal poles are rusting. That is disappointing. I have to go out there and peek. It has been a few days since I have checked on them. I should have sprouts any day now. We’re just getting into thinking about what we’ll plant this year, but we’re a good few weeks of starting anything at all indoors given our climate. Good luck with your tomatoes, I’m envious in a good way!